Zach Even - Esh here with a quick intro of what you're going to learn & experience during The Underground Strength Coach Certification. This 2 day Cert will be a blend of hands on training, lecture, QnA, practical & applied knowledge. You will be learning along with being assessed on your ability to understand & coach using the methods learned. What experience do I bring? I began training in 1989 and my first coaching job was in 1995. In 2002 I began training athletes and during these tens of thousands of hours of coaching I have coached at Rutgers & Lehigh University, both teams were Top 10 nationally ranked wrestling teams. I'll be sharing my knowledge and experiences with you so you can leave this 2 day course as a infinitely better coach. The USC Cert should be a part of your learning journey, not the end all be all. To maximize your time here, you must show up with an eager & open mind, hungry to learn & hungry to train. The final 2 hours will include QnA on training & business. After the cert you'll be added to a private Facebook Group for our Coaches. Below you will also see the materials you will receive to prepare yourself for The USC Cert as well as to keep you learning beyond our time together. In a nut shell, you're going to learn the EXACT SYSTEM I use at The Underground Strength Gym. From how we start an athlete on day 1 to how we progress athletes and adults through a training system that changes lives BEYOND the gym. You'll be able to take this system of training and plug it into your own training as well as your own business or coaching. Whether you're a Fitness Coach, College Strength Coach or independent gym owner, this is going to be a Life Changing Experience for you! Discover The Proven Training Strategies You Need To Become A Successful Strength Coach In Today’s Economy (The Rule’s Have Changed), whether you're in the private sector or working for a school / university. Understand Exactly How To Deliver Powerful AND Rapid Results For Your Clients With Our Results Proven Underground Strength System (Great for Athletes AND Adults!). Understand Exactly How To Implement Our Underground Strength System Even If You Don’t Own A Warehouse Gym Or Training Studio. You Don’t Need A Gym To Implement Our Powerful Training System. Discover and follow your true passion in training. There is NO reason to operate a training business that drains you or enslaves you. During The USC Cert you will experience firsthand the passion behind Coaching and how you can use your passion to change the lives of others and run a successful business both financially and emotionally. 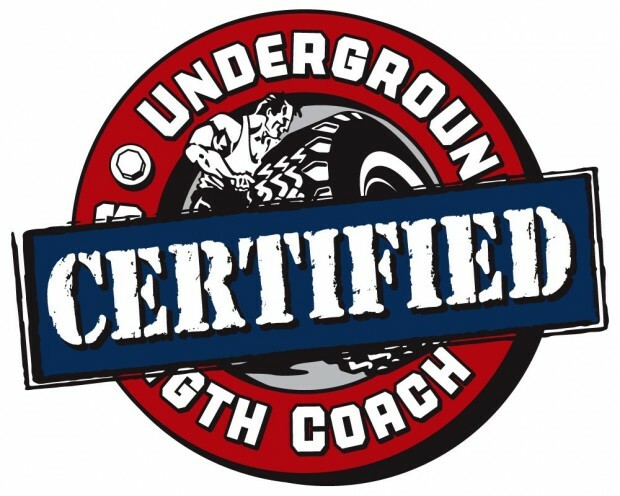 Who Is The Underground Strength Coach Experience For? We’ve had aspiring Coaches with NO prior coaching experience attend The USC Certification & skyrocket their success as well as Experienced Strength & Conditioning Coaches have attended, including D1 Strength Coaches and more. Navy SEALs, Law Enforcement & Various Military Personnel have gone through The USC Cert with raving reviews. Teams of Gym Owners, CrossFit Coaches & Strength Coaches have had me organize private Underground Strength Coach Certs for them. If you genuinely care for your athletes and live for the Relentless Pursuit of Excellence, The USC Cert is for you. During your time with me, we will be cutting through the hype, the B.S. and the fancy talk to bring you an experience like no other that dramatically improves your knowledge as a Coach in both training AND business. You’ll walk away with powerful information that you can begin implementing immediately after your very first day with me. You won’t need to wait until you get home to apply your new information. I will also be sharing crucial business systems for both independent gym owners / coaches as well as Collegiate Strength & Conditioning Coaches. This business knowledge will give you a superior edge to advance your business, whether you own a gym or not, regardless of the size or stage of your business, it doesn’t matter. Now more than ever, with the volatility of the strength & conditioning industry, there are NO guarantees, which is why I focus on sharing BOTH training AND business knowledge with you. These methods will give you the edge and just one idea can change your game BIG time. You will understand the critical aspects of running a training system, separating yourself from everyone else who is doing the same ol’, same ol’ while implementing The Underground Strength System. You will learn what you MUST incorporate to transform your training business. Understand how to remove the BS and incorporate ethical business methods for both online and offline marketing and business. In order to give you the tools to start turning your knowledge and passion into a business you love, You simply need to take that first step. MANY have been scared or doubtful, just like you. But, those who took action have never looked back. I believe in life you MUST "Advance & Conquer". If you're not getting better, you're getting worse. Everything will be “Hands On”, so you will learn by doing, which is the most effective way to TRULY learn how to become a successful Strength Coach & Trainer. No topic, question or conversation will be taboo this weekend and you can expect my No Holds Barred approach to training and business to be fully unleashed. 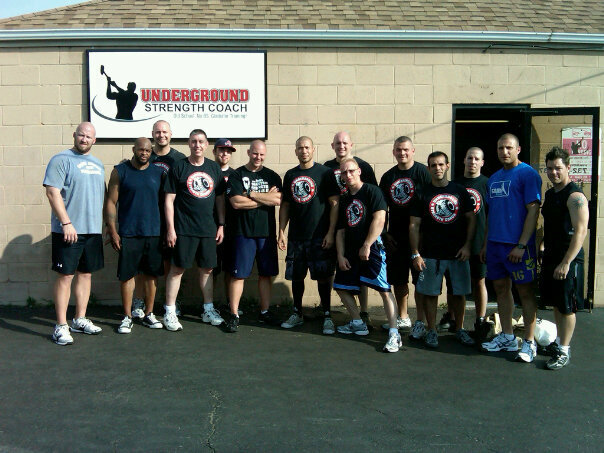 “The Underground Strength Community Is A Network Of Passionate Coaches Who Train & Live On Their Own Terms, NOT Conforming & Following The Popular Fads or Gimmicks. 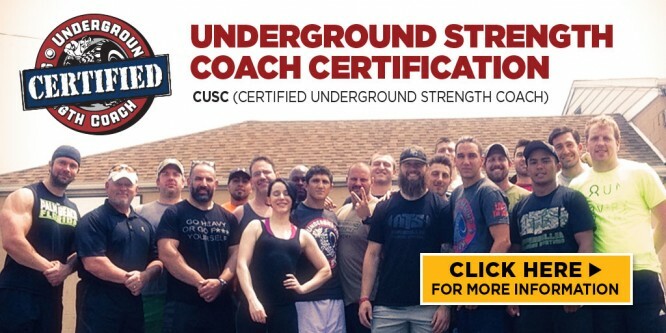 This weekend will also allow you to make connections and become part of a powerful network with other Underground Strength Coaches. This is one of the most powerful methods for increasing your success and I will reveal the Mastermind Principles you can use together with your new found brothers and sisters to skyrocket success like never before. The most successful people in the world, regardless of their field, understand and know the infinite power of surrounding themselves with like minded people and creating Master Mind Groups. Just wait until you begin to experience this incredibly powerful phenomenon. Let’s take a look at your 2 Day curriculum and what you’re about to experience. Also, Just because it’s not written here does not mean we can not address these topics during our certification weekend. I will go above & beyond to meet ALL your needs. Remember, this entire weekend will be hands on, with only 15 others on average, experiencing all of these power packed methods. Let’s Get After it! Introduction of The Underground Strength Methods & Overall Training System. The Underground Warm Up, Mobility & Movement Prep System. How to assess athletes through the warm up and how to modify training sessions accordingly. Speed & Power Training Methods for Upper & Lower Body. Appropriate use of jump training / Plyometrics for adults VS athletes, in season and off season considerations & program design. Calisthenics & Bodyweight Bodybuilding Methods. Bodyweight training methods for athletic performance and minimal equipment with athletes. The Quick Lifts With the Barbell, Kettlebells & Dumbbells: Power Cleans, Snatches, Clean & Press and more…. Underground Strength Warm Up Part II. Mobility, Animal warm ups, assessments. Utilizing The Deadlift & Squat Variations – from beginner to advanced. Coaching and training progressions for different age groups and levels of physical preparation. Coaching Assessment – Coaching Others Through An Underground Training Session, Feedback on coaching and organizing training session. Assessing Your Coaching Abilities. Odd Object & Strongman Training Fundamentals. Safety, Technique, Training Progressions and Application in program design. Integrating Old School Bodybuilding & Powerlifting For Improved Performance. Putting it ALL Together – This is when we round up and analyze all the powerful information you have experienced and discuss how you can easily begin applying these methods to explode your success. 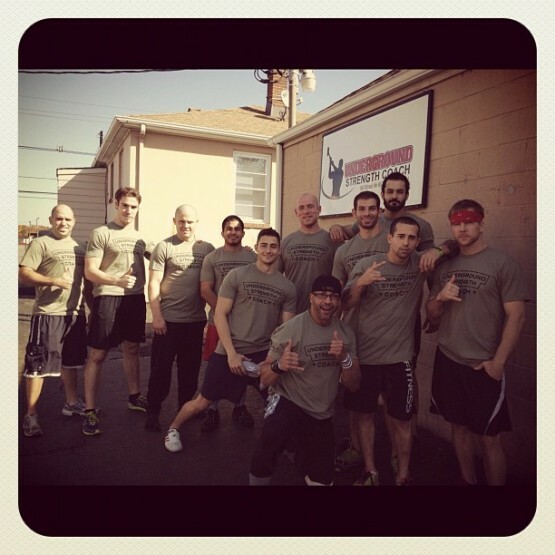 Underground Strength Coach Mastermind & QnA – Training, Business & Life. On both days you will be going through hands on sessions where you will be training and coaching others in the group. This allows you to implement everything you learn while getting immediate feedback on what you need to improve. Each USC Cert is catered and adjusted to the level of knowledge of the attendees so understand there is flexibility in the methods taught and what Zach decides to focus on to ensure you maximize your learning. If you Cancel after investing in The USC Cert, You will be given the opportunity to attend another Cert within the Same Calendar Year with a $250 rescheduling fee. I Only work with Coaches who have honesty and integrity. Move forward ONLY if you fit this criteria. 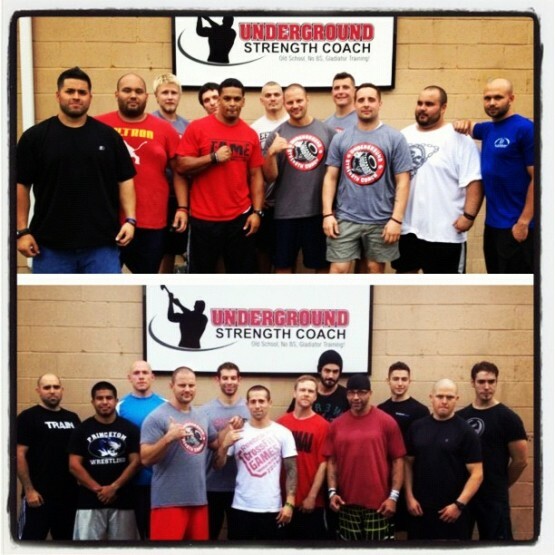 Underground Strength Coach is more than just a certification. We are an organization, an association of Strength Coaches, a family of Coaches who “live the code”, giving others our absolute best services with quality, honesty and integrity. If you can not live by our “USC Code of Ethics” you are NOT welcome to attend our certification and become part of The USC Organization. When I put on a Cert I plan on giving you 20 on a scale of 1 to 10. From the heart, I will give you my all and hold nothing back. If you feel that this Cert isn’t worth your investment after your time with me then I will refund you 100% of the money and consult with you on training, business and life for the next 30 days for FREE. My goal is to help you achieve more success as a Coach. If I let you down then I let myself down and I refuse to let that happen! After Registration, You will receive an e mail with prep materials.